Sometimes owning a house doesn’t always go as planned. You may have had a rental property that has gone vacant and now needs substantial repairs. Or, you may not know what to do with the house that has just been inherited to you, and it needs a lot of work to be able to be put on the open market for a potential homeowners. Maybe you’re behind on taxes, facing foreclosure, or you need to sell your house fast because of job relocation ~ the list of potential unfortunate events that life throws at you can go on and on. At KC Property Group, we are a team of professional cash home buyers who can help in your time of need, and we will take the burden of a quick home sale off of your shoulders. We have cash in hand and will make you a fair cash offer to purchase your home. Call our team at 816-286-4204 to learn more. At KC Property Group, we are more than just reputable cash home buyers. We are a team of professionals who has worked hand in hand with many Kansas City metro home sellers to buy their house hassle-free while providing a fast closing. 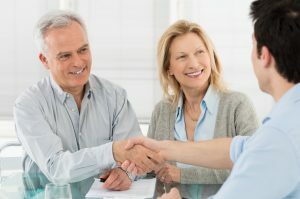 We specialize in buying homes quickly for cash to relieve homeowners of burdensome properties, all while promoting a home selling process that is beneficial for all involved parties. As long-time Kansas City-area natives, our team of house buyers has the in-depth knowledge and experience to understand your needs, and we’ll give you an offer for your home that is fair and competitive. Our simple three-step process makes selling your home quicker and easier than going the traditional listing route with a Realtor®. Relief from burdensome properties. We buy Kansas City-area homes in any condition, saving you the hassle of repairing, updating, listing, and staging your home. We only need to see the property once or twice before closing ~ nobody will be trampling in and out all of the time invading your personal space as they would be when listing with an agent on the open market. We are direct buyers, and we make the selling process very easy. A fast and simple cash sale. Once you make the decision to sell your home, you want the process to go as smoothly and as quickly as possible. Selling your home to our team is fast, friendly, and convenient. No appraisals, no inspections, and no extra fees ~ this is as easy as it gets. Flexible closing dates. We will work with you to determine the most convenient closing date for your needs. We have closed in as little as seven days, but if you need more time, we’ll remain flexible to suit your timeframe. We can even let you stay in the property for a temporary period of time after we close if you need to. Convenience, simplicity, and an easy sale is what you receive when you sell your house to KC Property Group. These are just a few of the benefits available to homeowners who sell their home to KC Property Group. Our team is happy to speak with you to better understand your selling needs and accommodate your unique situation. Sell your house fast to KC Property Group. Request your fair cash offer today.